Happy Friday, everyone! How are your first week of 2017? I'm getting much better now (For those of you don't know, I got a cold recently!). This is my first brand new outfit that I shared on Instagram on 2017! 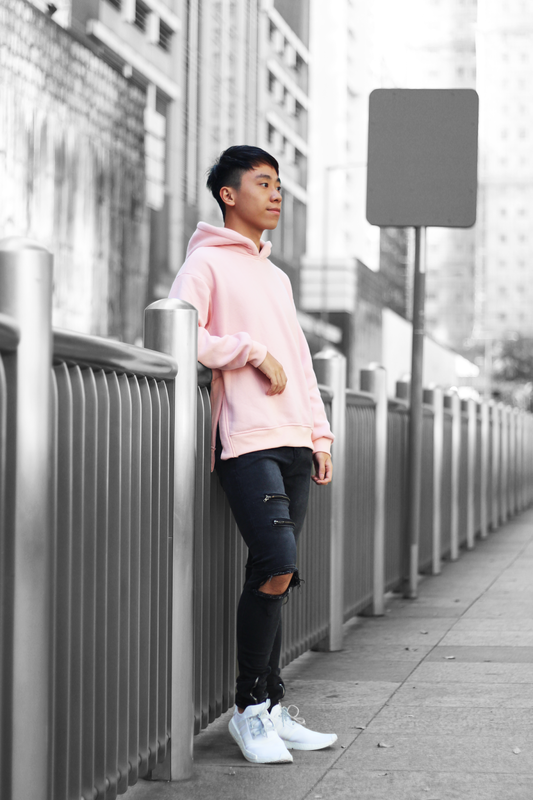 I got both the hoodie and the jeans from Sammydress. I always have a thing for clothing in pink colour! Probably because pink clothing can make the whole look less boring I guess. This outfit is definitely one of my favourite casual looks that I think people at my age should wear more often (Stay Young, haha!). Btw, I actually don't wear those triple white NMD Adidas Originals shoes that often as they will get dirty so easily! I don't know why every time I wore those shoes, somebody would accidentally stepped on my shoes! How sad that is!!! Anyway, what do you think about this look? Do you like it? My favorite look from you yet!! 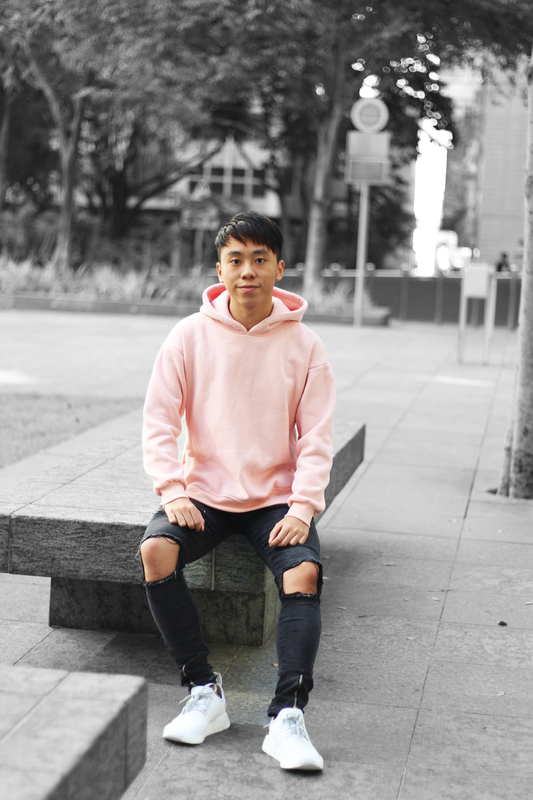 I want that pink hoodie! 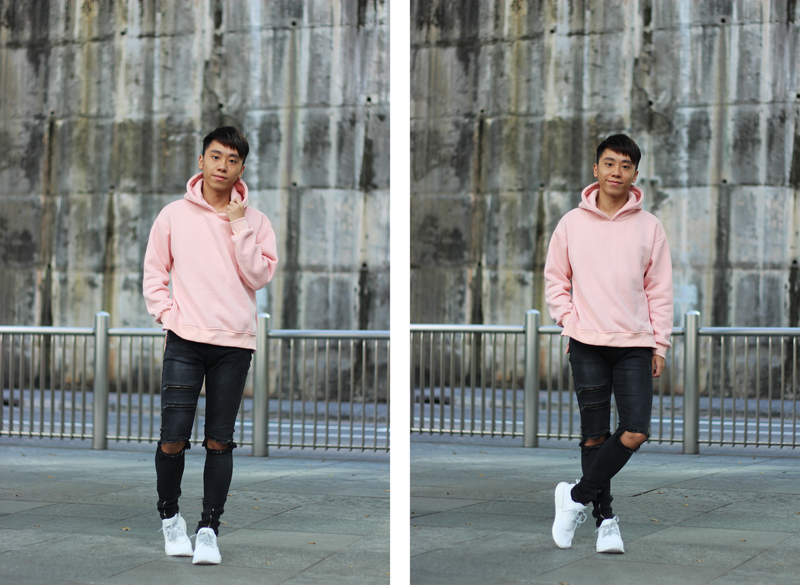 I love this colour pink and you're so right, it really adds something to an outfit! Glad you're feeling better, I've just got over a cold too! 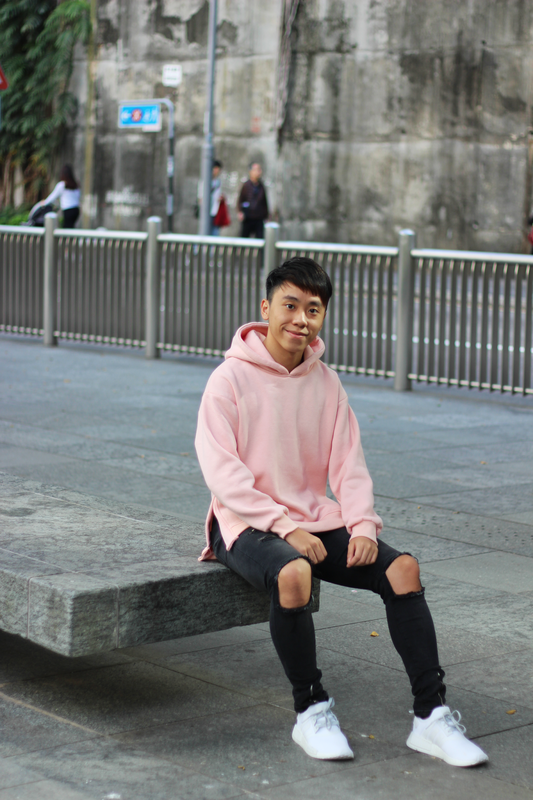 That pink hoodie is so cute! I am so digging the pink hoodie! I would love one for myself haha! 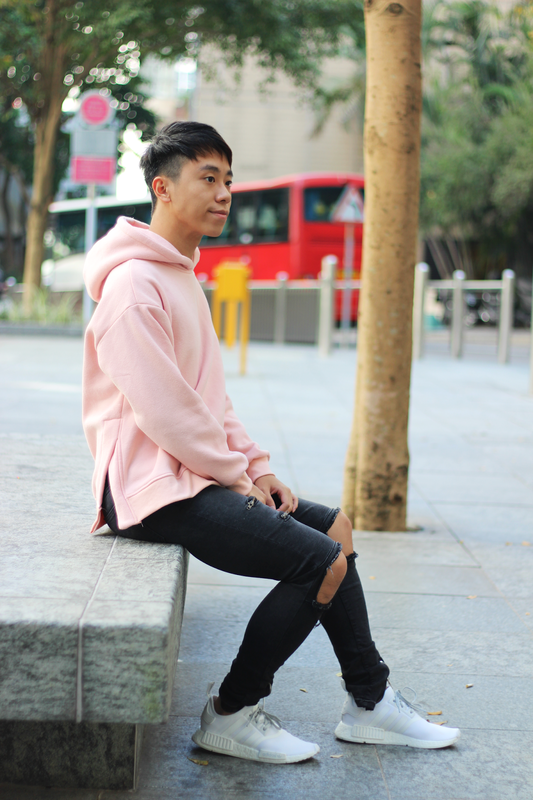 The pink hoodie is great, also the two zippers on your jeans made their point! 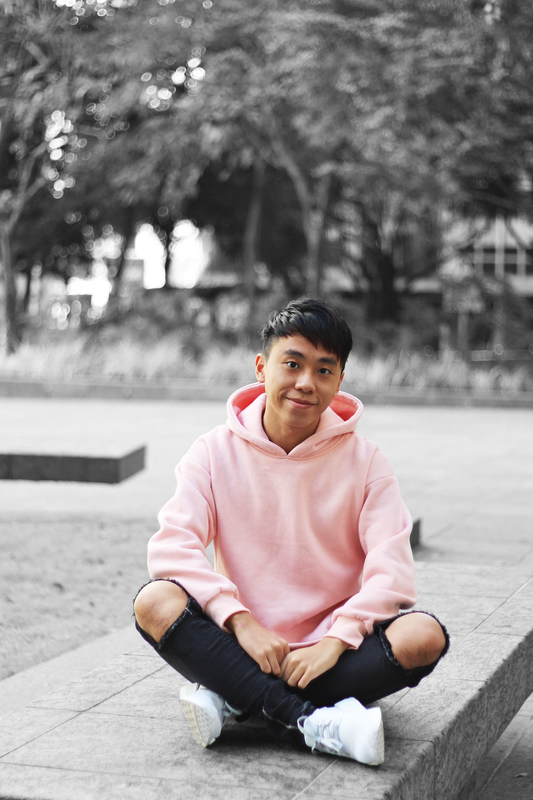 That pink hoodie is so cool and cute all at the same time! Hope you're feeling better. Colds make me feel like its the end of the world. 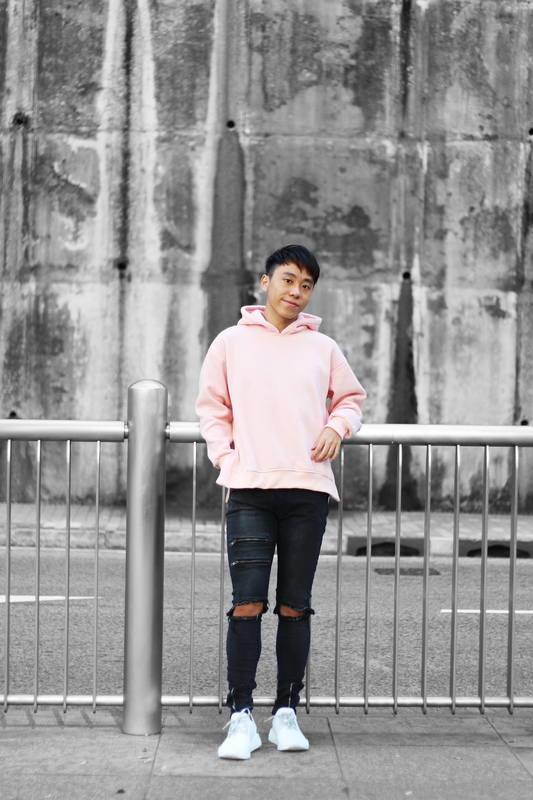 I love this sweatshirt, pink is your color!